Stafford James has been in the front lines for 30 years. 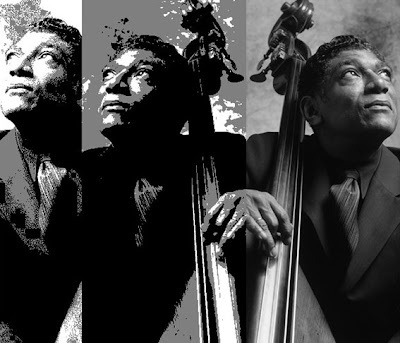 He is thankful for the early encouragement he received from artists like Miles Davis, Herbie Hancock, McCoy Tyner and his mentor, bass giant Charles Mingus. “I will always appreciate the way he approached me as a young musician trying to get out of the bucket and find my own direction”. 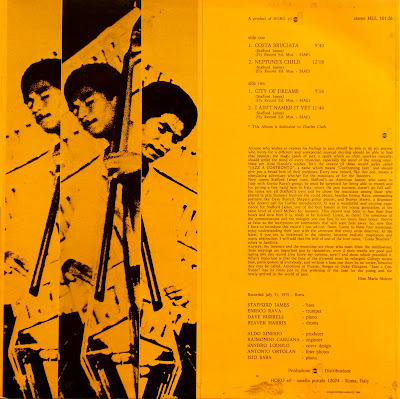 He recorded with the legendary Albert Ayler (“Music is the Healing Force”), with Dexter Gordon (including “Home Coming”), with the fusion oriented guitarist John Scofield, with Jimmy Heath, Pharoah Sanders and nine albums with the late trumpeter Woody Shaw. 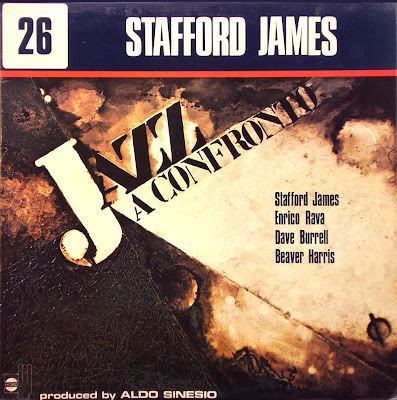 The last 15 years have been solely dedicated to his ensemble, The Stafford James Project. 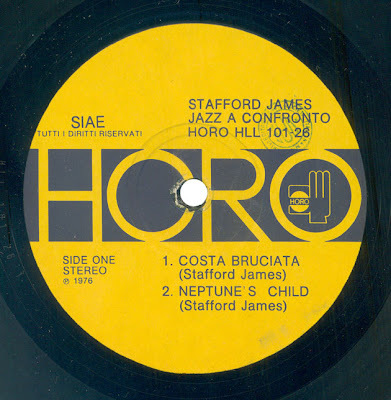 A1) Costa Bruciata - 9'40"
A2) Neptune's Child - 12'18"
B1) City Of Dreams - 5'16"
B2) I Ain't Named It Yet - 11'46"
One of my favourite JAC's.. thank you for this great blog! Mucha gracias por subir esta grabacion fabulosa. 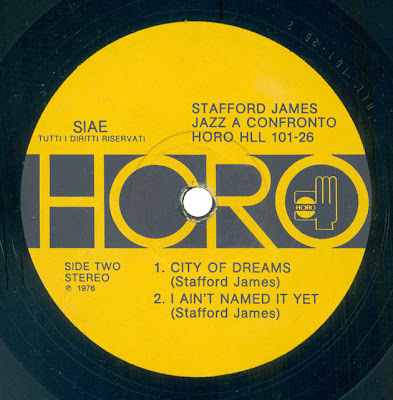 I feel fortunate of late to not only own this album through a very recent eBay purchase but to have Stafford's latest album too. Yes, I believe we should enjoy great music from the past but not overlook evolution with new music. Get on the new jazz sound - there is room for both. Peace. I'm delighted to hear this. The compositions are very strong. Simply fantastic. A great record and and exellent example of Rava during the mid-70's. Thanks. Bello, grazie mille per questo e per gli altri. I can't find this as being available on cd yet. Would it be possible to get a new link, Rapidshare link kaput. Thank you!